Perhaps no local ethnic group of the late nineteenth and early twentieth centuries witnessed such collective horrors or suffered so grievously as the Armenians. Following abortive attempts to establish territorial autonomy for themselves within Ottoman Turkey in the early 1890s, Armenians were retaliated against through a wave of Turkish and Kurdish atrocities which was unleashed between 1894 and 1896. Encouraged by Sultan Abdul Hamid II, the widespread violence prompted Armenians to begin emigrating en masse. Among the first Armenians to seek refuge in Middleborough were Michael Krikorian, who arrived in 1892, and Garabed Kayajan, who arrived about the same time, both escaping the worst violence. Others would soon follow. The arrival of additional Armenians seeking refuge from the Hamidian massacres being perpetrated in Turkey fueled the local Armenian community’s lingering distrust and fear of the Turkish government and its intentions towards the Armenian minority both within and outside Turkey. In 1897, ten Armenian operatives of the Leonard & Barrows shoe plant on Center Street quit the manufactory, alleging that a fellow employee was a Turkish government agent, an indication of just how deeply-rooted were anti-Turkish fears within the local Armenian community. 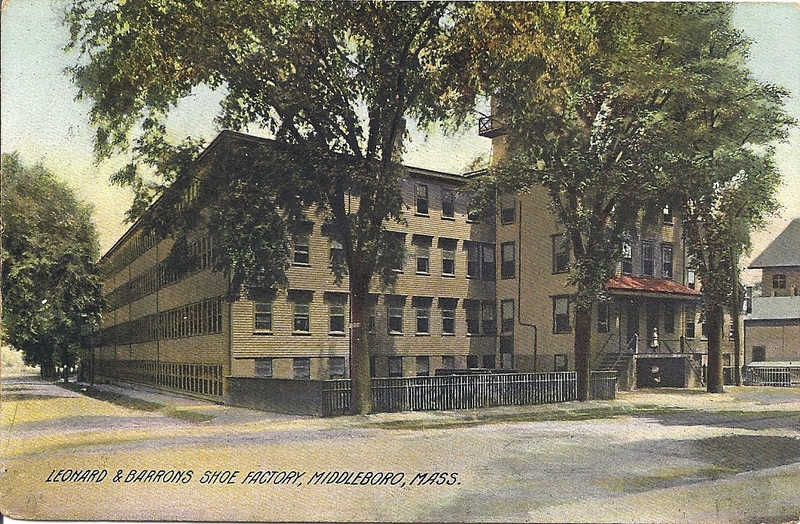 Taking employment in the town’s several shoe factories, local Armenians organized both politically and socially, establishing the Armenian National Union of Middleboro to address and meet the needs of their small, but growing, community, and assisting newly-arrived immigrants in learning English. Many Armenian immigrants were desperate to learn the language, and advertisements in the local newspapers conveyed their sense of urgency. Wanted. - Board and room for two young men, where they may have an opportunity to learn and talk the English language, with the family. Will pay liberal charges for board and room. Address P. O. Box 199, Middleboro. Situation Wanted. - Young Armenian, good, clean, smart fellow, desires position, where he can learn American language, will work for board. Vagim Tatulian. 8 Frank Street. Indicative of the growing assimilation of the local Armenians into the community, as well as the esteem in which they were held, was Middleborough's response to renewed violence against Armenians in Ottoman Turkey beginning in 1915. Though the Turkish government today denies that the systematic mass deportations and atrocities of 1915-23 constitute genocide and states they were the unintended consequence of civil war, Middleborough’s Armenian community at the time, then numbering about 100 souls, had little doubt (then or since) that the events transpiring in Turkey were the results of a concerted, deliberate and orchestrated government policy to eliminate Armenians within the Ottoman Empire. 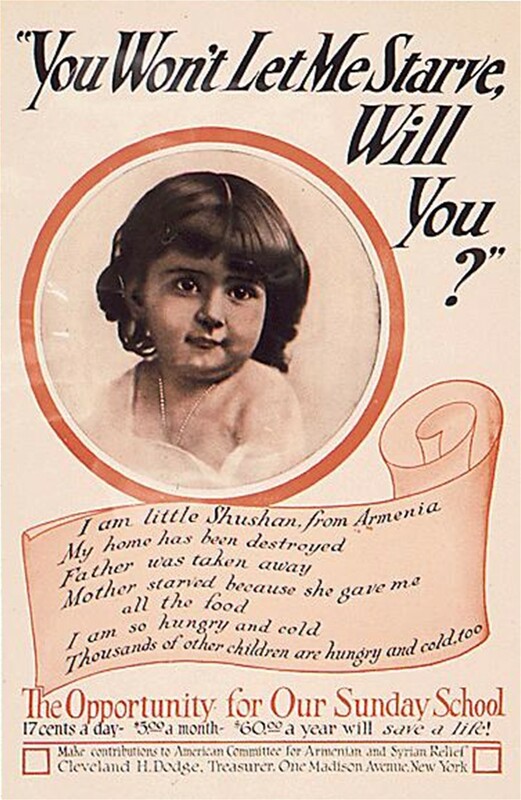 As Turkish actions against the Armenians grew in scope and severity in 1915, news regarding the deteriorating situation filtered back to Armenian-American communities like those in Middleborough and local Armenian-born residents formed relief committees in an effort to ameliorate the worst excesses of the Turkish government. In the latter half of 1915, the Armenian Relief Fund solicited local Armenians to contribute to relief efforts in their native land. The response was overwhelming for such a relatively small community composed of manual laborers who earned low wages and had little money to contribute. “…A romance, a wonderful financial sacrifice when compared with the number of earners and their modest earnings”, wrote the Middleboro Gazette of the Armenian community’s efforts. For Middleborough’s non-Armenian community, news of the atrocities of mass killings and forced deportations occurring in Turkey were brought to the fore by reputable newspapers and journals, including the New York Times, throughout 1915 and 1916. More locally, the Gazette carried a news item in early 1916 that focused upon the famine conditions prevailing in Turkish Armenia and reported that “conditions in many quarters are so distressing that the Armenians are forced to eat grass. They are dying by hundreds for want of food!” Undoubtedly, the local shoe plants where the majority of the Armenian community was engaged in employment became centers for the dissemination of information regarding the genocide. As a result of a growing local consciousness, in May, 1916, Middleborough’s non-Armenian community established the Middleborough Committee for Armenian and Syrian Relief, an organization composed of leading residents and dedicated to raising funds for relief efforts. Among the representatives were Town Clerk A. A. Thomas, Alvin C. Howes and several local pastors. Representing the Armenian shoe workers were Superintendent Kennedy of the George E. Keith shoe manufactory on Sumner Avenue and Sylvanus L. Brett of the Boot & Shoe Workers’ Union. shared and relief efforts were initiated. The Gazette made an eloquent appeal for funds for Armenian relief, and termed the Armenians the “constant martyrs of the century … who have suffered all out of proportion to any relation to the great European powers at war”. The newspaper emphatically committed both itself and the community to the cause, boldly declaring “Middleboro will help – and you are a Middleboroean!” Tuesday, June 6 was set aside as the day for local residents to give, with the preceding Sunday designated as a day for collections by local churches, Sunday schools and brotherhoods. "Thirty societies responded and it was splendidly representative of Middleboro's best interest in these people who have suffered massacre, pillage, starvation, outrage, in whole families and villages, 750,000 having perished since the great war began." Though the success of the local Armenian relief movement in 1916 undoubtedly helped reduce the suffering of Armenians in Turkey, ultimately it failed to bring about an end to the genocide. Consequently, many Armenian-Americans would be moved to adopt a more aggressive approach towards this end. On August 3, 1917, following American entry into World War I, a number of local Armenian men including Haroutune Haroutunian, Sarkis K. Afarian, Madirus Gochgarian, Dicran Baghdelian and Mihran Piranian, enlisted in the French Army Legion d'Orient, anxious to serve in the front lines against Germany’s Turkish ally and avenge the Armenian genocide. The Legion, created in November 1916, included some 2,000 Armenian-Americans, most with the same goal. It is estimated that between 800,000 and 1,500,000 Armenians perished during the Armenian genocide.